For half a century, Dan Rather has covered the major news stories of our time: the civil rights movement, the assassination of JFK, Vietnam, Watergate, 9-11, Iraq, Afghanistan, Abu Ghraib. For twenty-four of those years, he was the network "face" of TV journalism as the anchor of the CBS Evening News. At the end of his tenure, he became part of the news himself. Now for the first time, Dan tells the real story of his final months at CBS, including his removal from the anchor chair in the wake of the controversy surrounding the story of George W. Bush and the Texas Air National Guard. He also exposes the frantic and secret behind-the-scenes machinations that followed. These clandestine maneuvers unmasked the "independence" of the investigation by the Thornburgh commission, revealing a news division that had, Rather believes, temporarily abandoned its principles in order to enhance the bottom line of the parent company. 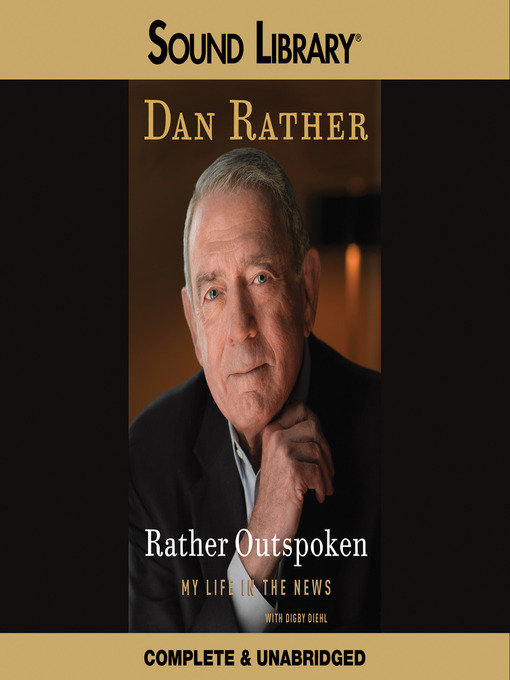 In Rather Outspoken, Dan looks back over his entire career, from his boyhood in Houston, Texas, through his coverage of every US president since Eisenhower, to his successful return to investigative reporting on Dan Rather Reports for Mark Cuban's HDNet. Since leaving CBS, he has been engaged full time in the kind of hard hitting journalism pioneered by his boyhood idol, Edward R. Murrow—and he has the Emmys to prove it. Along the way, he sounds an urgent call for more programs like his own—more investigative journalists and more in-depth reporting, even in the face of what he calls the "corporatization, politicization, and trivialization" of the news. Dan Rather makes an eloquent case for the critical importance of a free and independent press as a check on political power, and its responsibility to be the voice of the people, to force government to be fair, reasonable, and democratic. Throughout his career, Dan has been dedicated to the two bedrock principles of journalism: first, find out the truth; and then, tell people about it. In Rather Outspoken, he follows those principles and opens up as never before. It all makes for a compelling, eye-opening listen.